I found this brand online. I believe it's Korean. I couldn't find it online anywhere easier than just buying from eBay. I bought two shades strictly for the novelty of this adorable bottle. I mean how cute is this? And look how it arrived with the branded bow. A-dor-a-ble! 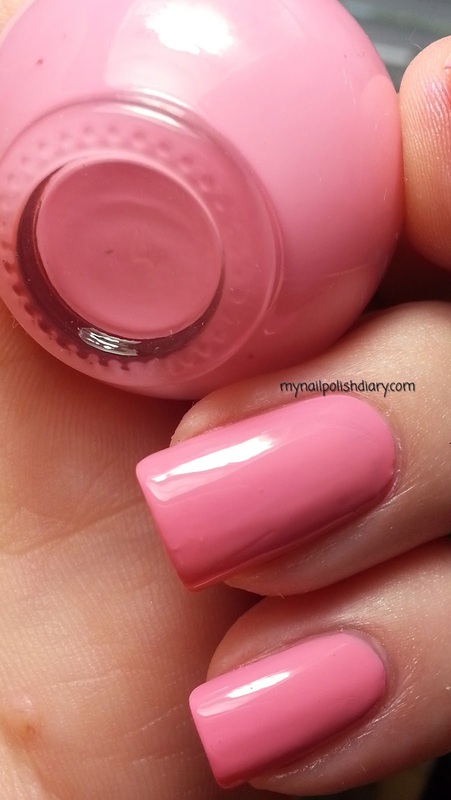 The shades I saw offered were nothing different from anything in my collection, and I probably have a very close shade if not an exact dupe. No worry though, I just wanted them on a shelf in my "Princess Room" where I keep all my nail polish, do crafts, sew and generally hang out during the day. It's absolutely a girly room and dedicated to my crafty-fun time. I'm very fortunate. 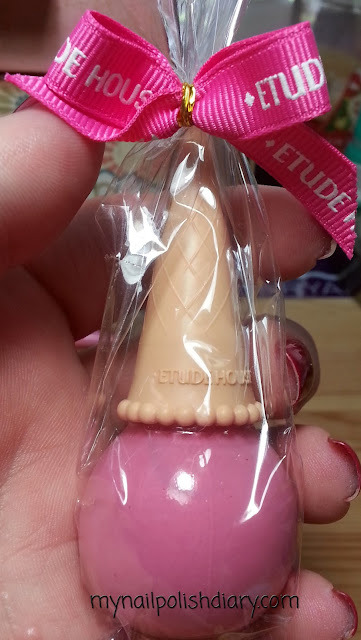 Etude House Strawberry is a dusty pink creme. As I said I'm sure I have something very similar at the very least and likely a dupe. The application was fine in spite of holding an ice cream cone shaped brush, haha. Wear time was also very nice. 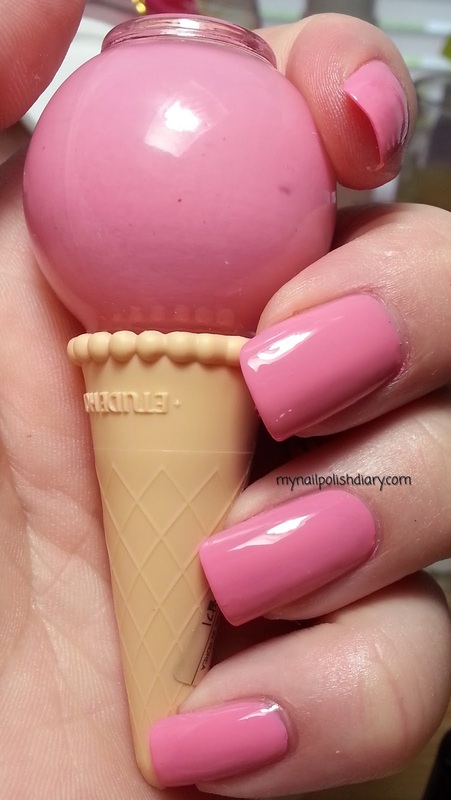 Really a nice polish formula. I'd buy this brand again any time.